this entry might be suddenly deleted if something happened. * Version 1.3.2 has released. Some bug fix and Add the Tweet function. * Goods list [Food & etc] is here. * New feature and food/goods of version 1.2.0 is here. 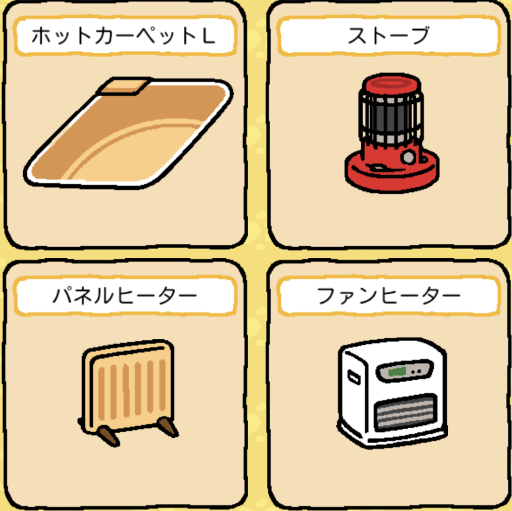 Neko(ねこ/猫) is a Japanese name for cat. 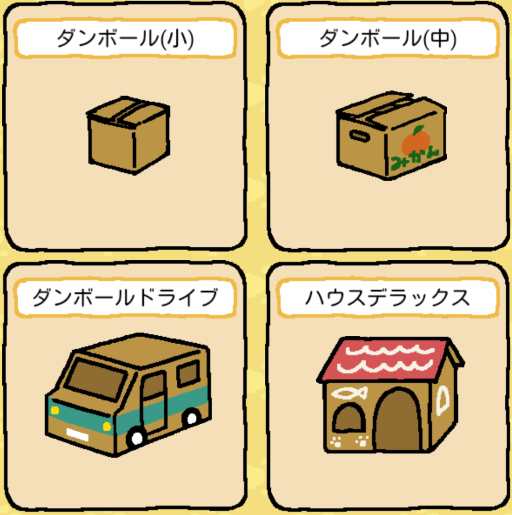 ねこあつめ(Neko Atsume) is a 放置型ゲーム(houchi gata game / leaving(left?) type game) developed by Hit-Point Co.,Ltd. In the houtigata game, player don’t always play the game by operation.They play again at a later time after they set some operation to the game and once then quit the game. Basically player don’t make any operation except simple settings, game is progressed by system automatically. 2. 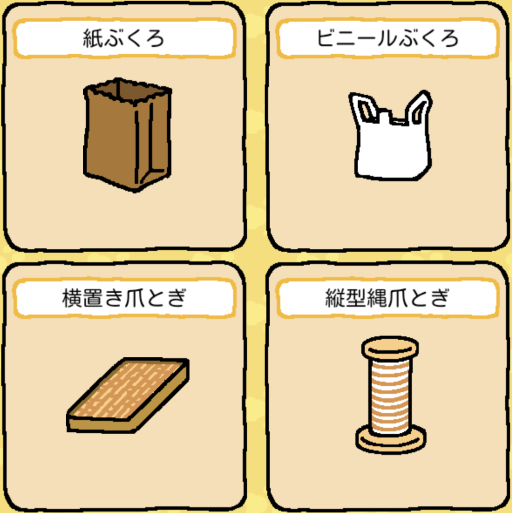 Set a goods for cats to play. 4. Play again after a while. The following is the English translation of help (some paraphrasing). 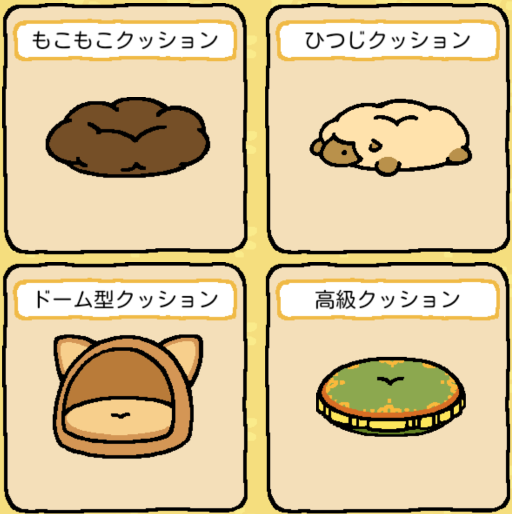 Welcom to Neko Atsume(Collect Cats)! 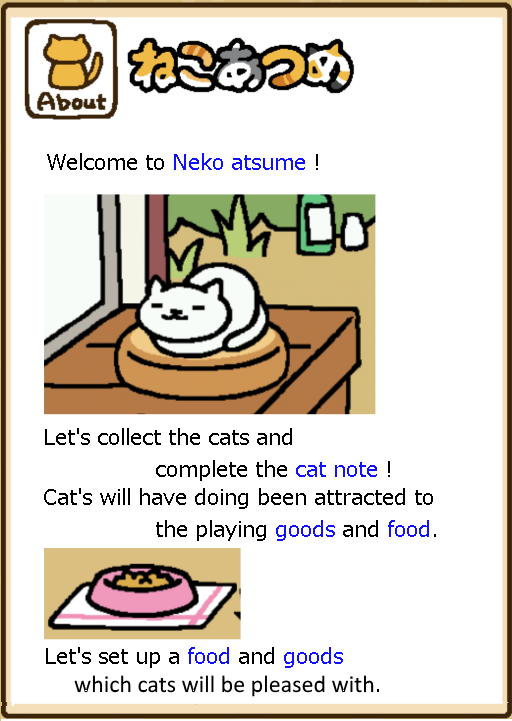 Let’s collect the cats and complete the cat notebook! Cats will have doing been attracted to the plaything goods and food. 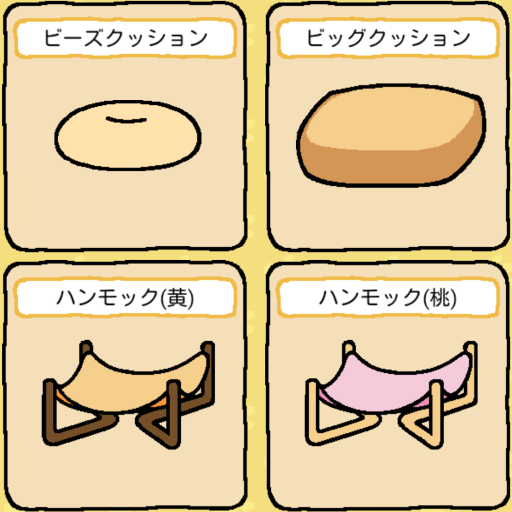 Let’s set up a food and goods which cats will be pleased with . 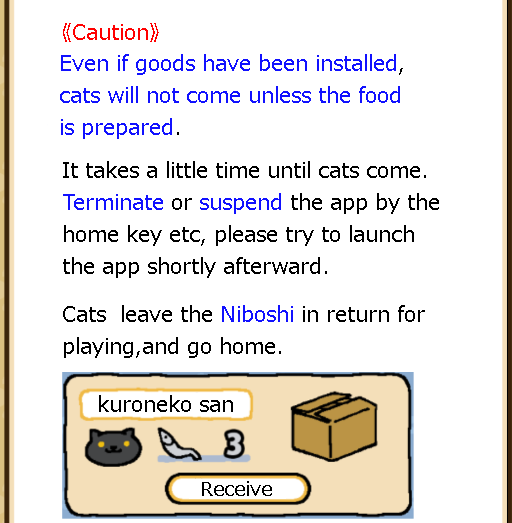 Even if goods have been installed,cats will not come unless the food is prepared. It takes a little time until cats come. Terminate or suspend the app by the home key etc,Please try to launch the app shortly afterward. 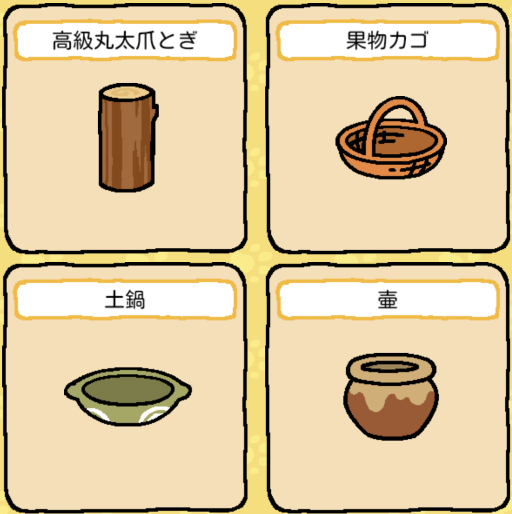 Cats leave the Niboshi in return for playing,and go home. 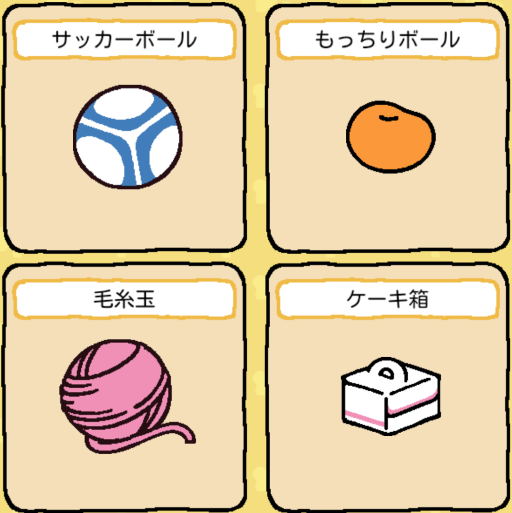 You can buy the new goods using Niboshi. 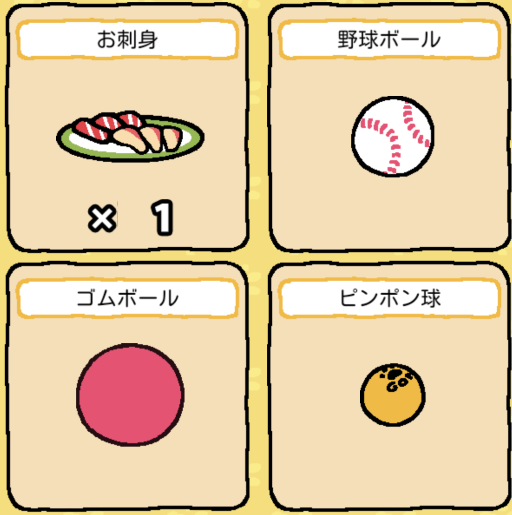 This is the notebook that collect record of cats who had come to play. 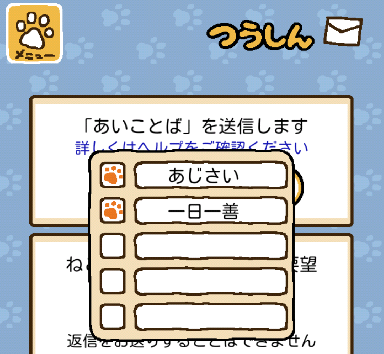 Let’s use this as reference to collect cats,since the liking of cats is recorded in it. 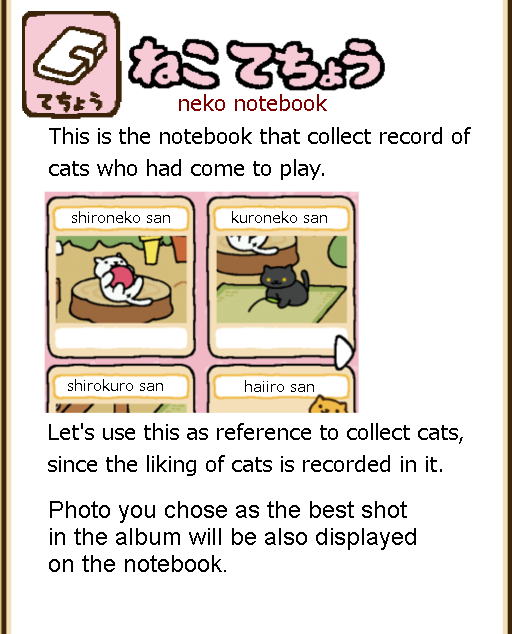 Photo you chose as the best shot in the album will be also displayed on cat note. 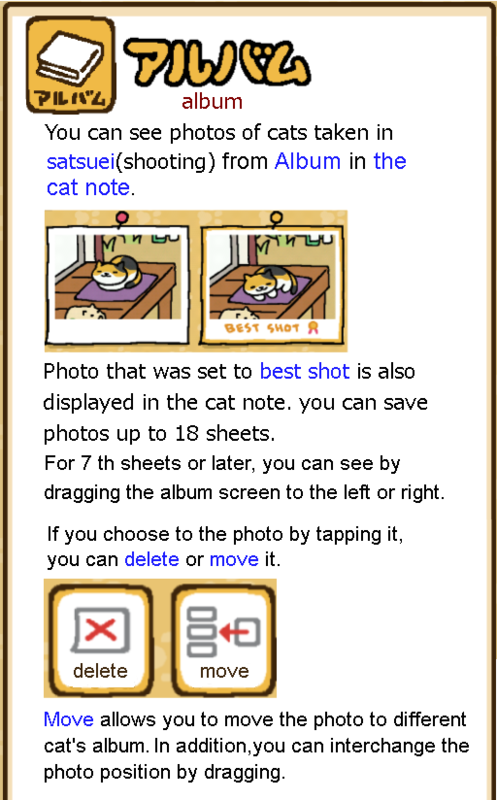 You can see photos of cats taken in the shooting from Album in the cat note. Photo that was set to best shot is also displayed in the cat note. you can save photos up to 18 sheets. For 7 th sheets or later, you can see by dragging the album screen to the left or right. If you choose to the photo by tapping it,you can delete or move it. 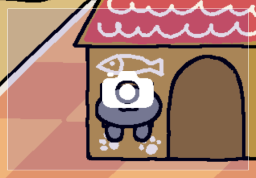 Move allows you to move the photo to different cat’s album. In addition,you can interchange the photo position by dragging. If you want to swap across between pages,you can switch between the pages by bringing it to left or right of the screen end while dragged. 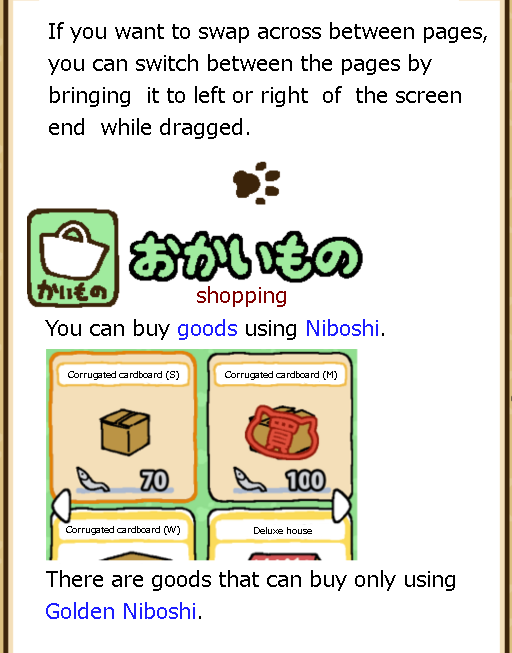 You can buy goods using Niboshi. 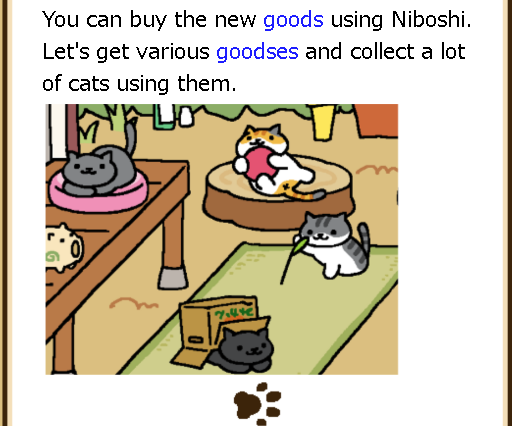 There are goods that can buy only using Golden Niboshi. Golden Niboshi is rare niboshi which may sometimes be gotten as thank-you niboshi. ※ In ver.1.4.0, the following text was not found. 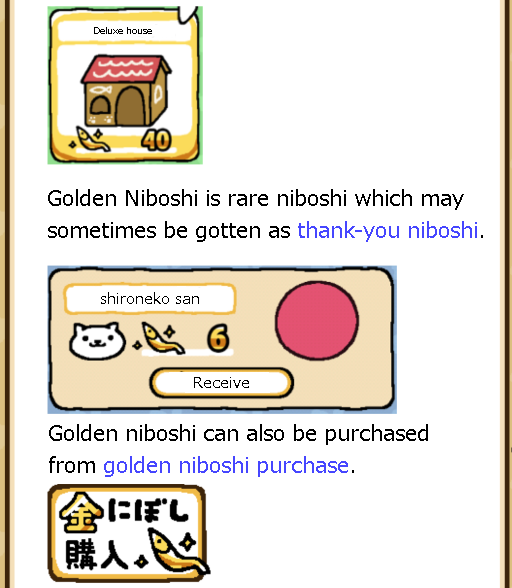 Golden niboshi can also be purchased from golden niboshi purchase. 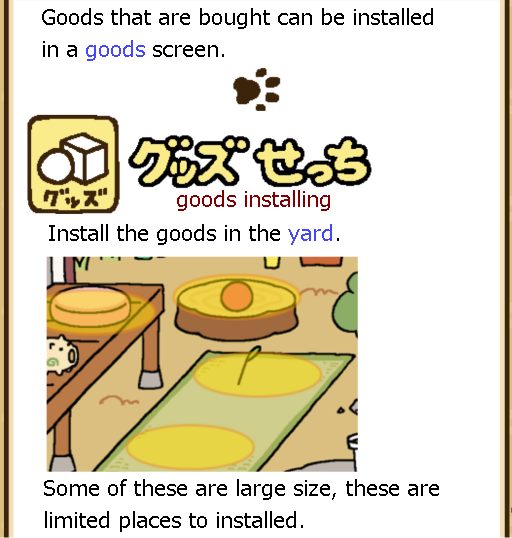 Goods that are bought can be installed in a goods screen. Install the goods in the yard(or room). Some of these are large size, these are limited places to installed. 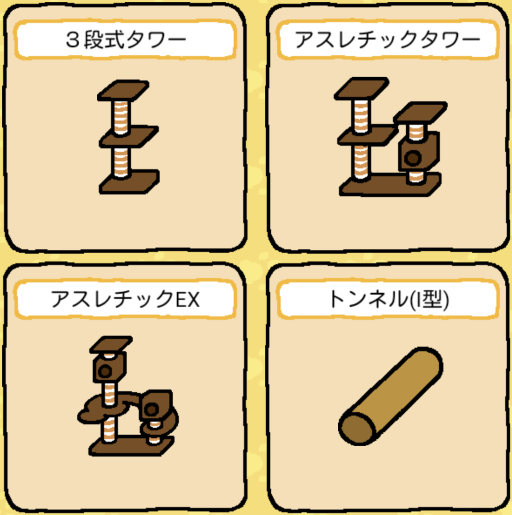 The more you install a lot of goods, the more increasing opportunities that cats to come to play.So let’s a lot of goods. 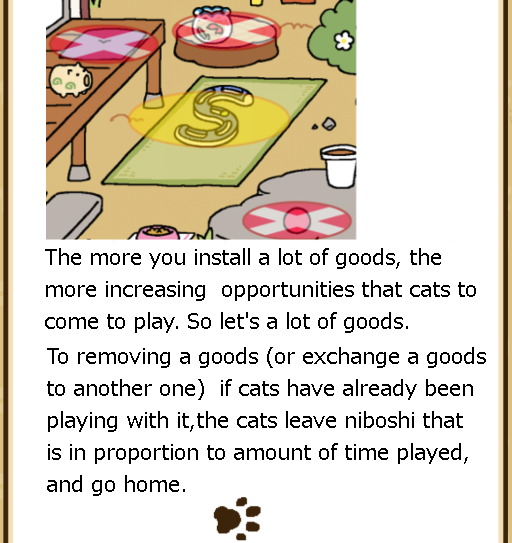 To removing a goods (or exchange a goods to another one) if cats have already been playing with it,the cats leave niboshi that is in proportion to amount of time played,and go home. 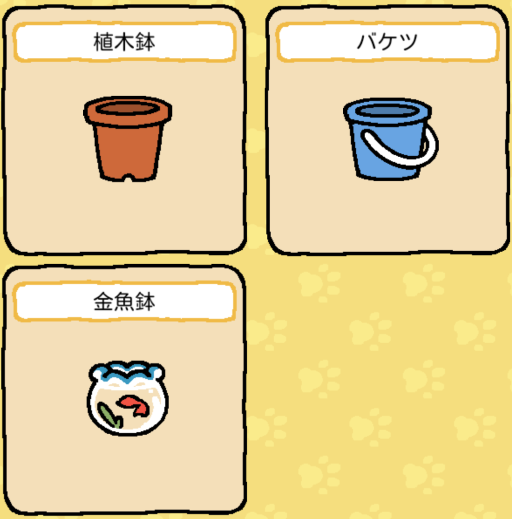 Cats leave niboshi as a thank-you gift,and go home. 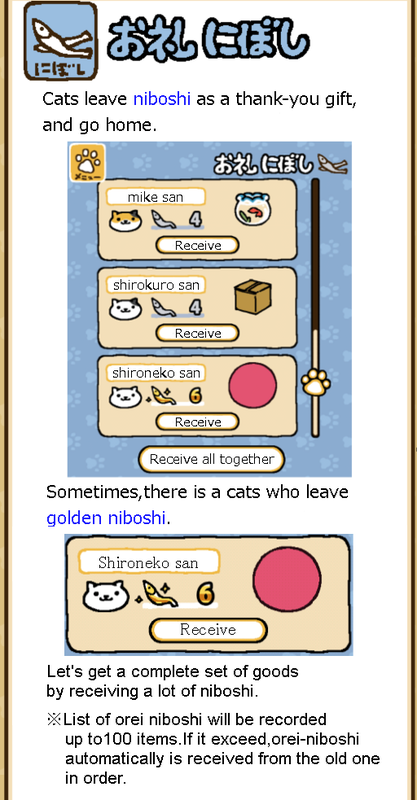 Sometimes,there is a cats who leave golden niboshi. 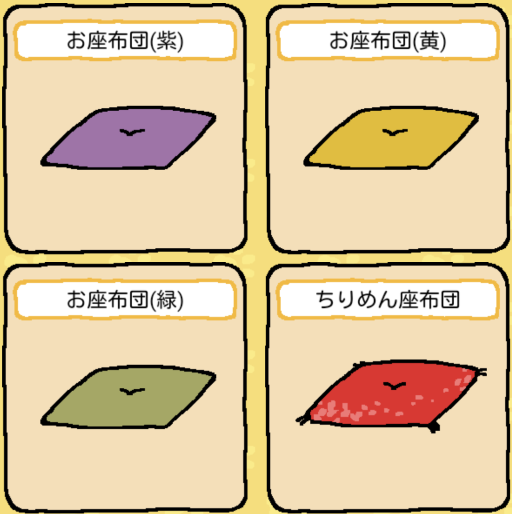 Let’s get a complete set of goods by receiving a lot of niboshi. ※List of orei niboshi will be recorded up to 100 items. If it exceed,orei-niboshi automatically is received from the old one in order. 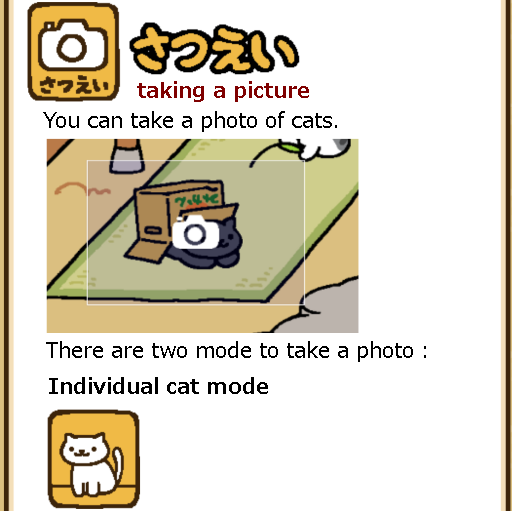 You can take a photo of cats. 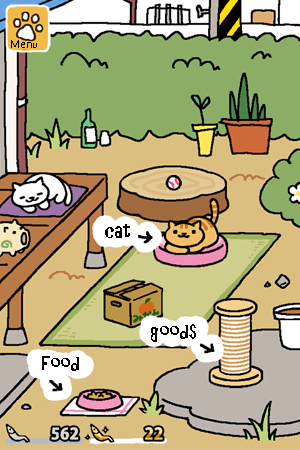 Whole screen mode(single screen mode) and Individual cat mode. After you extend the yard( add a room ), whole screen mode(double screen mode) will add. 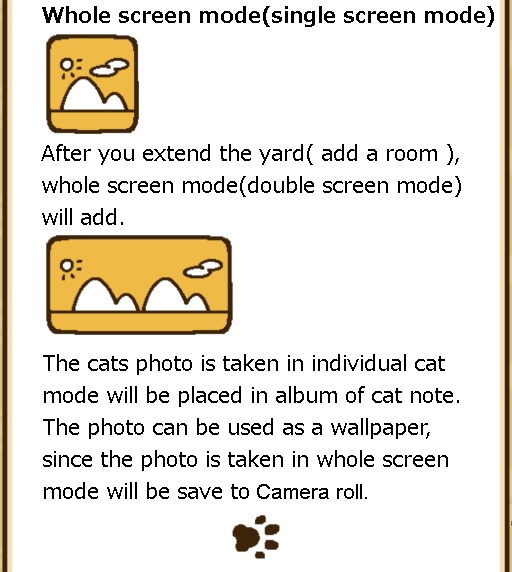 The cats photo is taken in individual cat mode will be placed in album of cat note. The photo can be used as a wallpaper,since the photo is taken in whole screen mode will be save to Camera roll. (*)Camera roll is the area to save the photo in a iOS device. You can freely move the range you want to take a picture by dragging it. 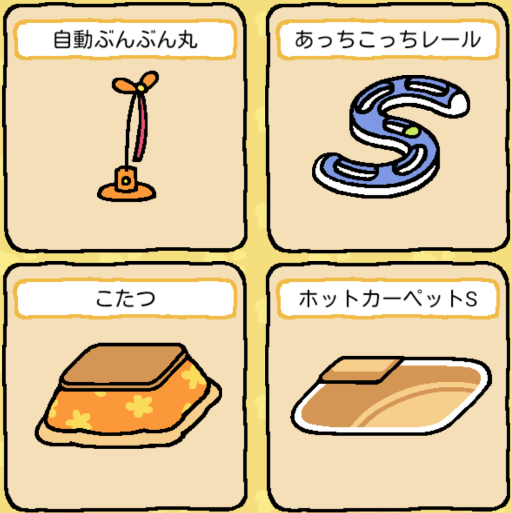 You can view cat’s treasures which you received from cat who take up with you. First, you must take up with friends in order to receive a treasure. 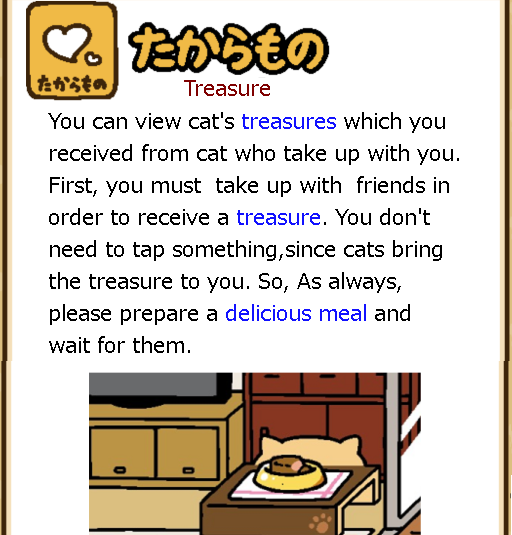 You don’t need to tap something,since cats bring the treasure to you. So,As always, please prepare a delicious meal and wait for them. You can adjust the volume of SE and BGM of the app. If the memory of your device is less,please try to adjust. 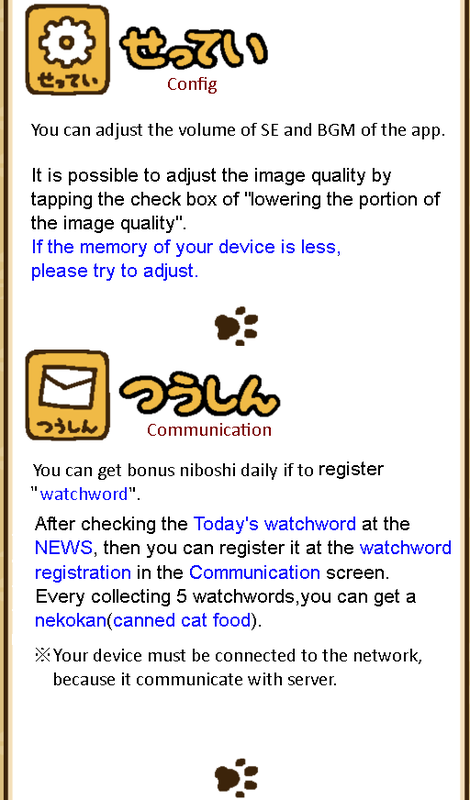 You can get bonus niboshi daily if to send “Today’s watchword”. After checking the Today’s watchword at the NEWS, then you can register it at the watchword registration in the Communication screen. 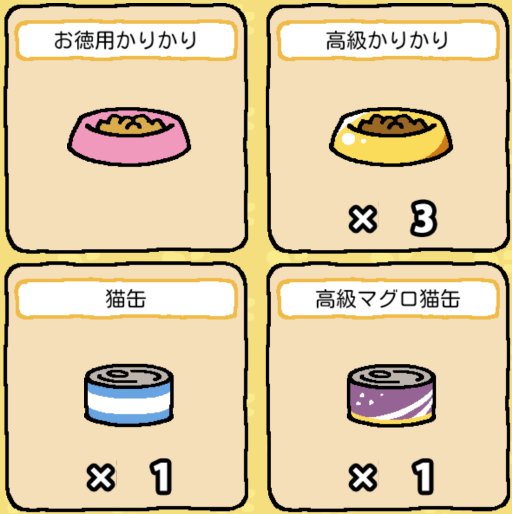 Every collecting 5 watchwords,you can get a nekokan(canned cat food). ※your device must be connected to the network,because it communicate with server. The following is the English translation of goods list (some paraphrasing). 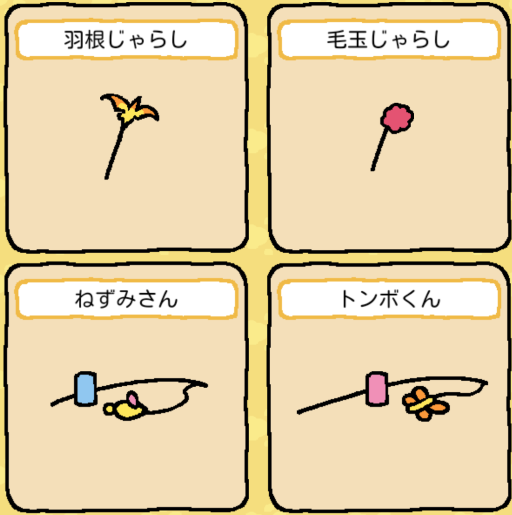 Neko jarashi(じゃらし) is a common Japanese name for cat feather toy. 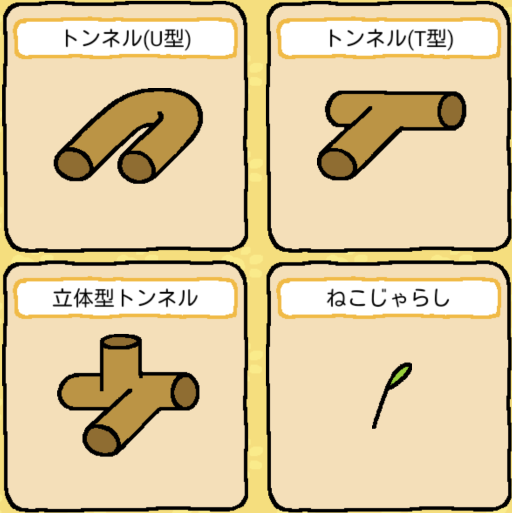 Japanese probably played with a cat using the Setaria in old times. (nezumi san / rat-san) a rat toy for cat. (tonbo kun / dragonfly-kun) a dragonfly toy for cat. 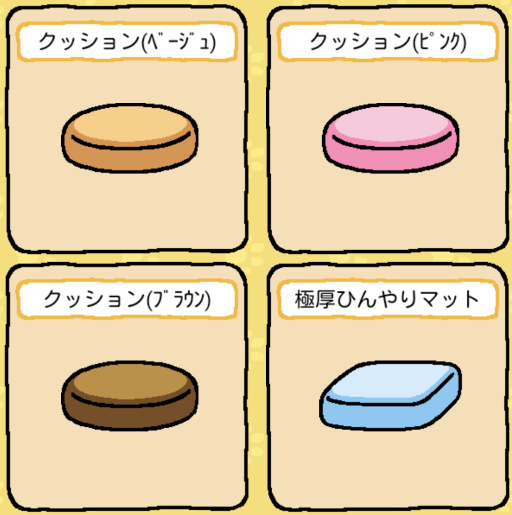 はちわれ hachiware tuxedo cat? 八割れ hachiware “eight spread to the left and right”? Because face pattern looks like “八 (eight)” in Japanese Kanji? とび tobi at intervals “飛び tobi” means the abbreviation of “飛び飛び tobi tobi”. 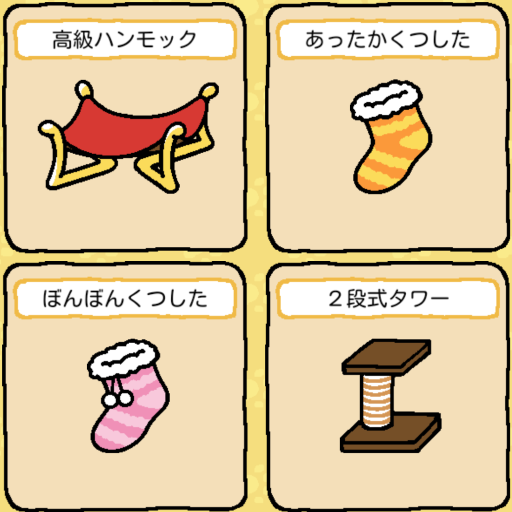 くつした kutsushita socks Because he/she looks like wore a socks? にぼし交換 niboshi koukan exchange golden niboshi(10) to normal niboshi(250). The food has not been set./The food isn’t ready. You need to install/supply to the food area. 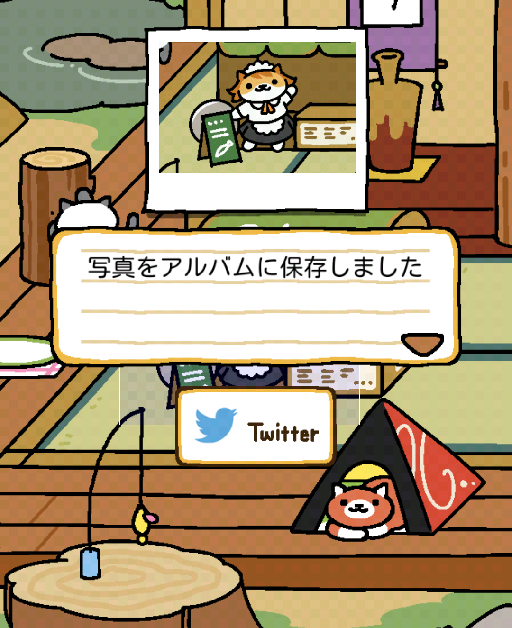 I assume that you can see this message only when you extend the yard(and quit the game without setting a food). 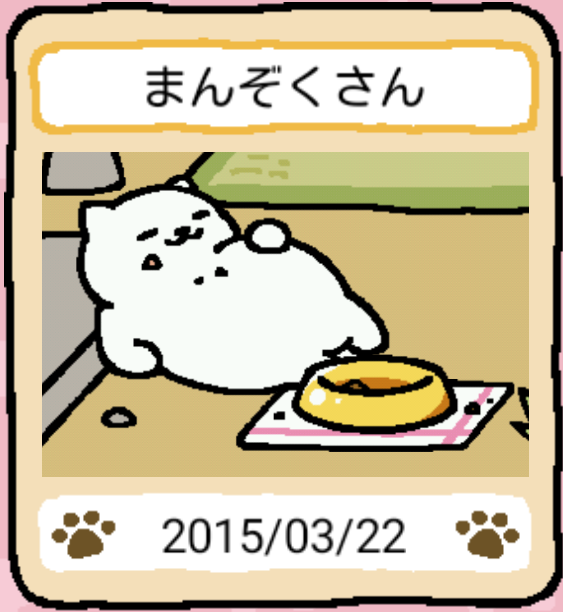 Manzoku-san is my favorite cat,but he is a glutton. He eat all the food in the yard when he comes. (Excluding the case that he plays with a goods. So there is always no food in the yard after he went home. That is,other cats don’t come the yard unless you supply the food after he came.